We have written about the function held on 1st May 2010 to honour the top performing MPs of 15th Lok Sabha. 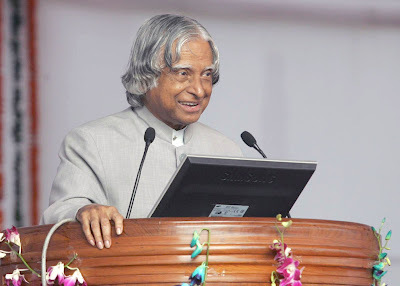 During that occassion, Dr Abdul Kalam, Former President of India addressed the audience over telephone from Delhi. During his speech, he brought out three important aspects. Please listen to his speech by clicking play button (10 minutes). This video may also be watched from the following link.